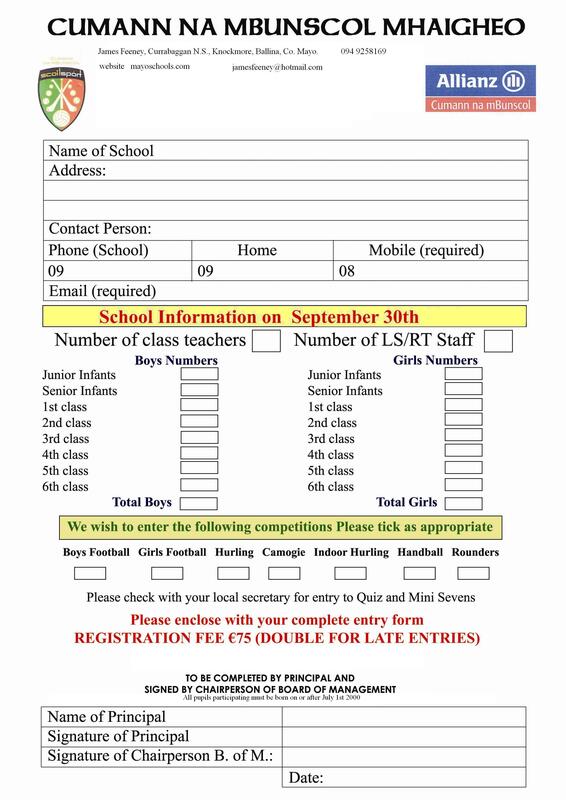 Please print, complete and send forms to James Feeney, Currabaggan NS, Knockmore, Co Mayo. Don’t forget to include a list of all your players from 3rd to 6th inclusive with their date of birth, also the affiliation fee and chairperson’s signature. Schools should note that mouthguards are now compulsory for all GAA activities.